Just in time for the upcoming second Season, Netflix released a tie-in game on the iOS and Google Play App store. Developed by BonusXP, the game presents itself in a typical retro-charm, something that ties in perfectly with the series 80s setting. There’s also plenty of 80s references to be found, whether its chapter-titles like “The Lost Boys” or popping balloons in a sewer. You start the game as Police Chief Hopper who is out to find the kids. Tapping anything on the screen makes you either walk there or interact with it. If you tap on an enemy, you attack it - simple but effective. The game doesn’t provide much lore or info on the world of Stranger Things in general, so if you haven’t watched the show and know the characters at least a little bit, you might have a more difficult time understanding the references or the character’s relation. That aside the game provides a very Zelda-like feel, letting you freely explore the town of Hawkins and discover the show’s locations, usually blocked off by some obstacle. Instead of finding new items to help in these situations, you’ll have to find and unlock the show’s characters which all have specific skills to help you progress, for example, Lucas can hit distant targets with his slingshot. The “dungeons” where you can usually find these characters offer a great mix of combat and puzzles - and plenty of secrets as well. On the overworld, you are kept busy by sidequests from plenty of characters, which are usually typical fetch-quests but reward you with important upgrades like health. Contrary to what I expected, the game itself is pretty good: There are no microtransactions or annoying ads to be found anywhere and you can even play it while offline. Not demanding on your hardware it should run on most devices out there and it’s easy to jump in and out for progressing a little. There are a couple collectibles for exclusive content and a higher difficulty for a bit of replay value. 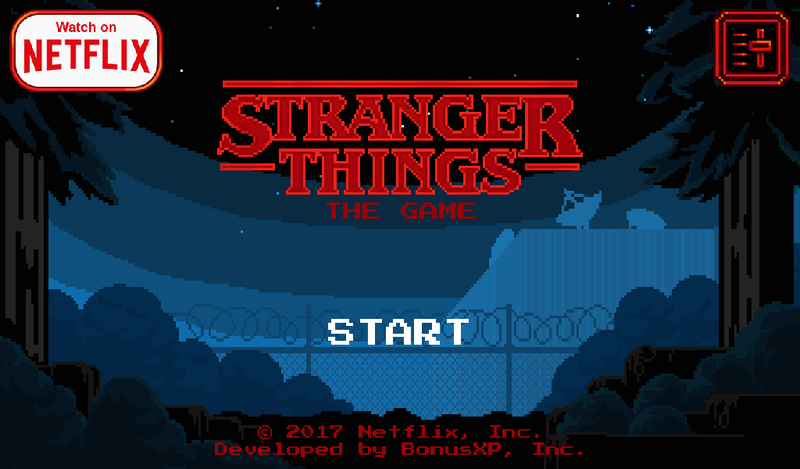 The Stranger Things mobile game is not just a marketing stunt for the upcoming new season, it is a pretty good game on its own and definitely worth your time.